The prosecutor's office also asked that the pair be ordered to spend every March 11 in solitary isolation, to mark the anniversary of Aniya's death. 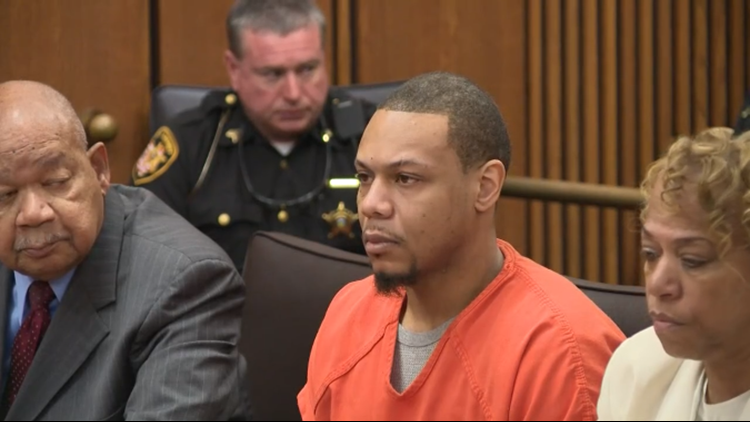 CLEVELAND — The couple who murdered 4-year-old Aniya Day Garrett was ordered to spend the rest of their lives behind bars Wednesday. Sierra Day, convicted in the murder of her daughter, 4-year-old Aniya Day-Garrett, was sentenced to life without parole. Her boyfriend, Deonte Lewis, also convicted in the crimes, received life in prison with parole eligibility after 20 years. "I don't believe in 24 years I've seen a more callous disregard for human life than I did with Sierra Day," Judge Timothy McCormick said prior to announcing the sentences. Day, 24, and Lewis, 27, were both found guilty to multiple charges earlier this month for the March 2018 murder of Aniya. Her cause of death was cerebral necrosis due to blunt impacts to the head with subdural hematoma, according to the Cuyahoga County Medical Examiner’s Office. When asked if she wished to speak, Day declined. Sierra Day on March 20, 2019. Lewis' attorneys said they don't believe his conviction was fair, claiming Aniya was abused by her mother long before she began dating Lewis. "I love Aniya and did not hurt her," Lewis said when given the chance to speak. Deonte Lewis on March 20, 2019. Medics on scene observed the victim had areas that appeared to be burns on her body and a large black bruise on her left eye. She was taken to a hospital where she was confirmed with no more signs of life. The Cuyahoga County Coroner's Office also found that she was emaciated, malnourished and had suffered a large stroke due to tearing blood vessels on the brain. 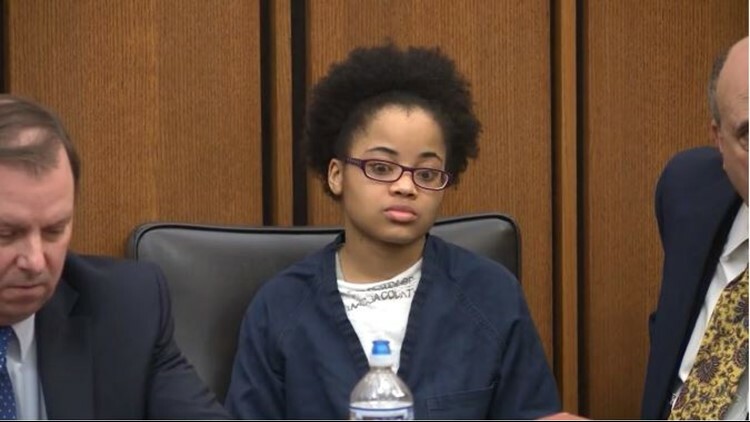 WKYC's investigative team found that Aniya was abused as far back as 2015 in the custody of her mother and her boyfriend. Meanwhile, Aniya's father, Mickhal Garrett, says he fought for her custody prior to her death. Garrett was the first to address the court Wednesday afternoon. "In this instance, some justice has been served," he said before thanking the jury for convicting Day and Lewis for the crimes. "These two monsters ruined my entire life," Garrett added, turning to gesture toward Day and Lewis. Since Aniya's death, Garrett has called for change with the "Aniya Law", which calls for emergency removal of a child from their home when signs of abuse are displayed, as well as stricter penalties for children and family services case workers who do not follow proper protocol and statutes. "In my opinion, the death penalty would be fair. But then again, that would be too easy for the torture and death of a 4-year-old child," he continued. "...I did everything I could to protect Aniya from danger and keep her from harm's way as a loving father would and should."